Is there anything better than a surprise? 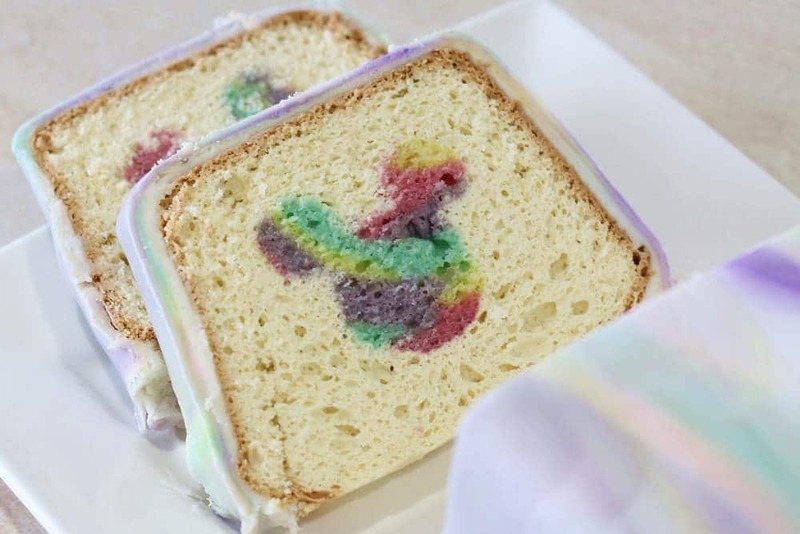 I have always wanted to try one of the surprises inside cakes but they seemed a bit complicated, requiring more than the basic baking skill level which I am at. With my girl’s birthday approaching I wanted to bake a small mickey mouse cake. I thought it was the perfect occasion to try and make a surprise-inside cake. 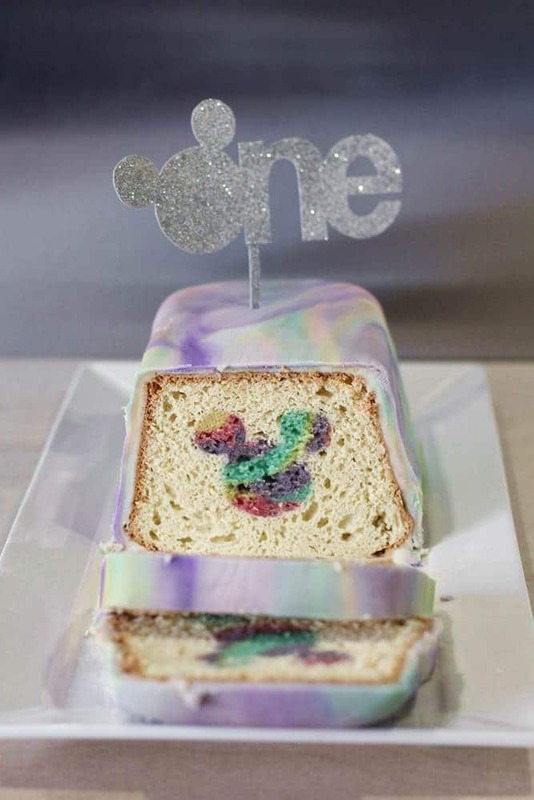 We had planned a very small gathering with only a few friends to celebrate her birthday, so if the mickey mouse fondant cake didn’t turn out well not many people would end up seeing it, lol! ( P.S. I actually had a plan B in case the cake wasn’t a success, infact nobody would see it!). 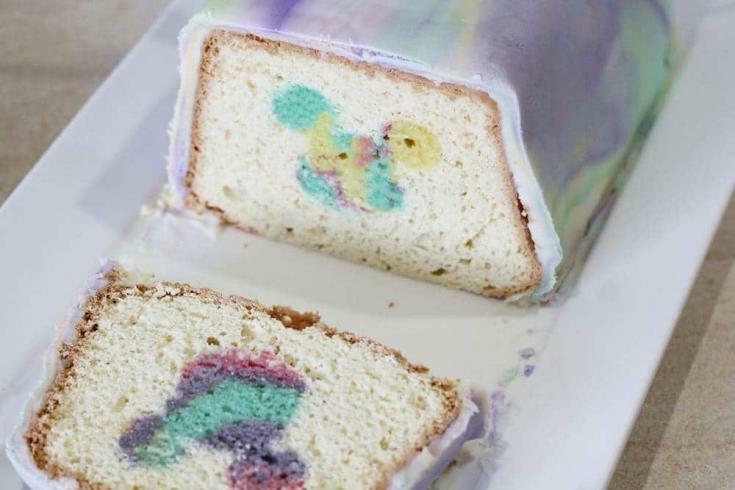 However, making this easy mickey mouse cake and adding the surprise WOW factor was so simple! 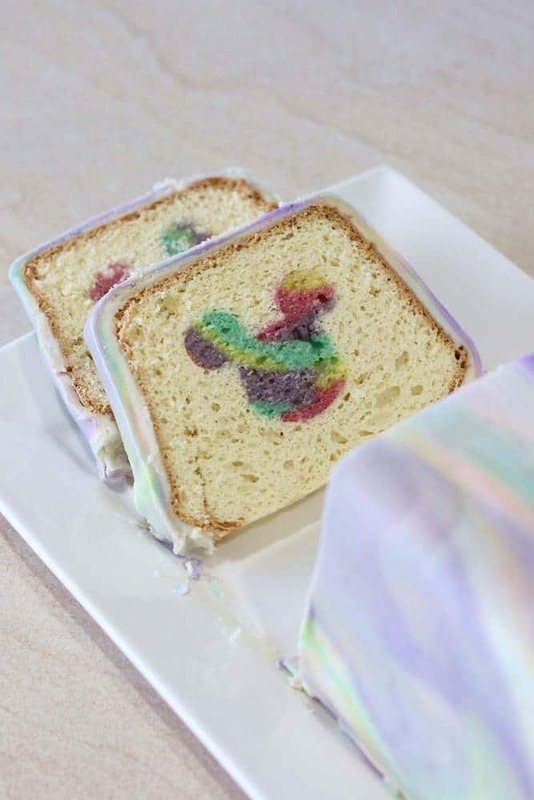 I searched online for some surprise inside mickey mouse birthday cake designs but couldn’t find any. So I decided to make one! 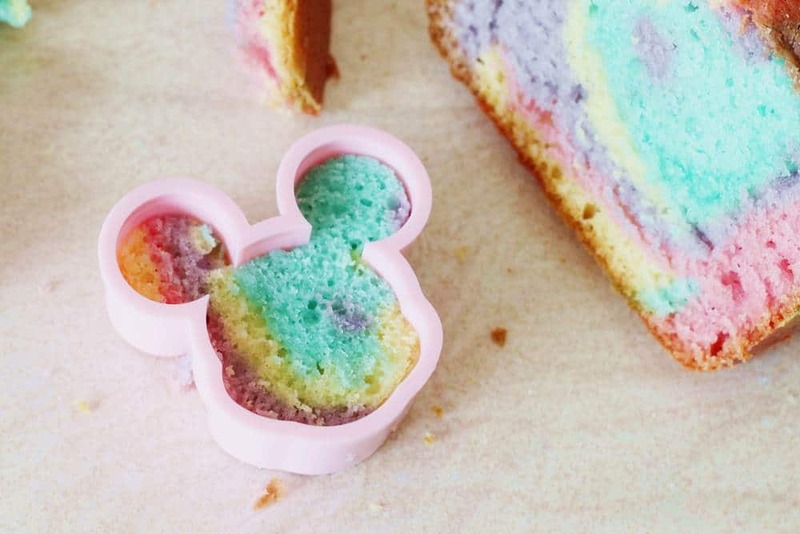 Surprisingly, the technique for this cake is actually not complicated at all. The ‘trick’ is actually very straightforward and it doesn’t require any special baking skills or advanced kitchen tools. The technique I use is a mix of everything I learnt from many bakers but I adapt it to the shape and materials I wanted to use for this cake. And it turned so good! 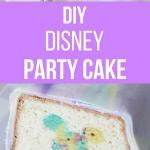 So if you are looking for a Minnie Mouse birthday cake or baby shower cake, this simple recipe is right for you! Follow the recipe and have fun! You can find the step by step pictures at the end of the post. make this cool surprise inside cake with a mickey mouse suprise! 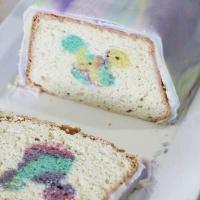 A plain cake mix or use your favorite vanilla cake recipe. I used Betty Crocker Super Moist Cake Mix. 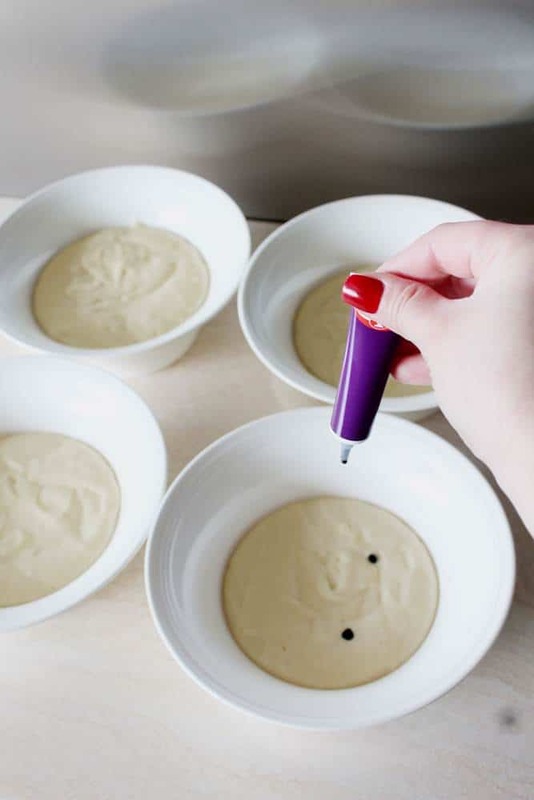 Mix the cake according to recipe then divide your cake batter evenly into 4 bowls. 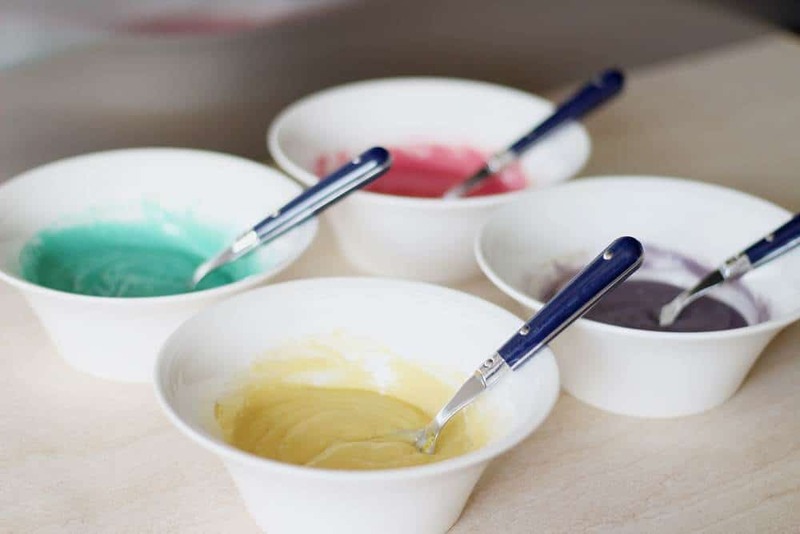 Add the food coloring to each bowl and stir until the color is completely mixed. 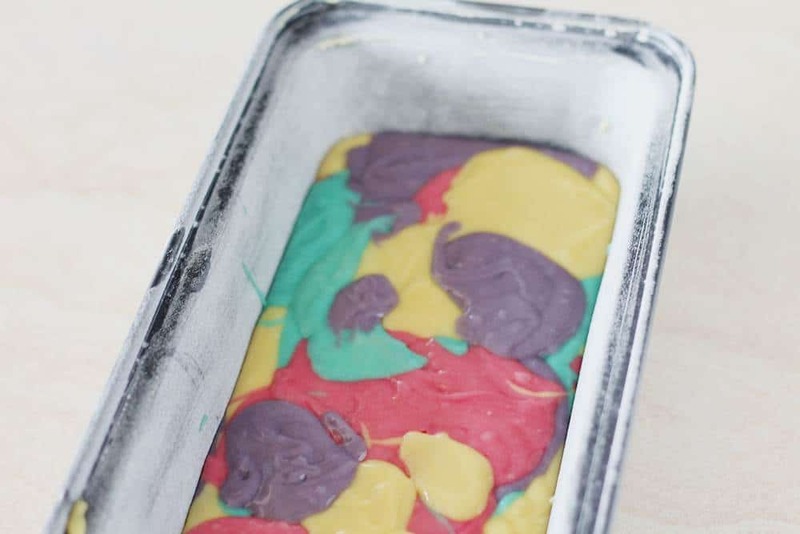 Randomly transfer spoons of the colored batters into the greased loaf pan. Bake the cake according to the instructions. Remove it from oven when it is ready and allow to cool completely in the pan. Cut the cake into 1/2-inch slices. 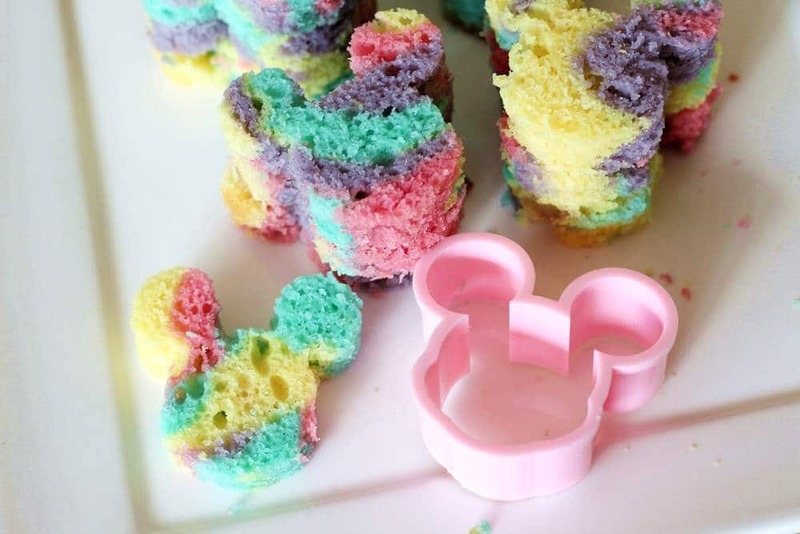 With your cookie cutter, cut shapes out of the cake slice and set them aside. Now make another cake batter from another box of Betty Crocker Cake Mix and grease the loaf pan again. Pour about 1/3 of the white cake batter in the bottom of the pan. Line up the cut out shapes throughout the whole extent of the loaf pan, in the center. 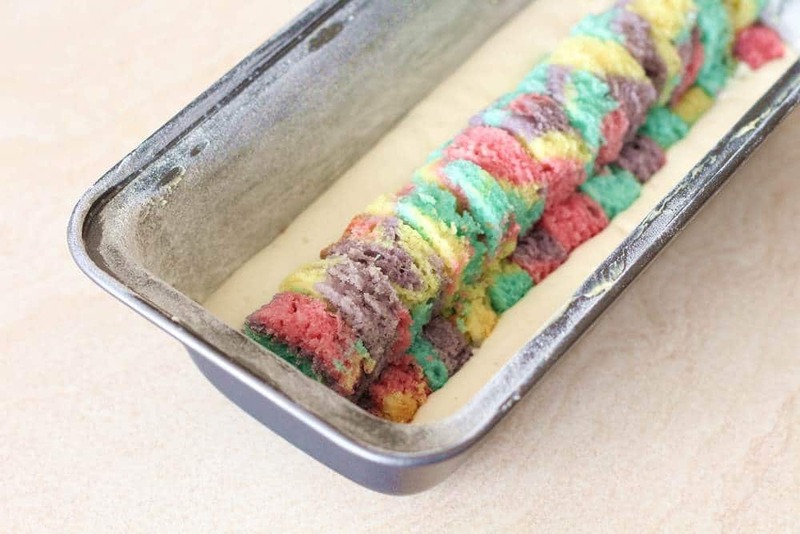 Dip them a little into the white batter at the bottom. Now pour the rest of the white batter covering the shapes completely. I lined up the mickey mouse shapes upside down because I was going to flip the final cake. 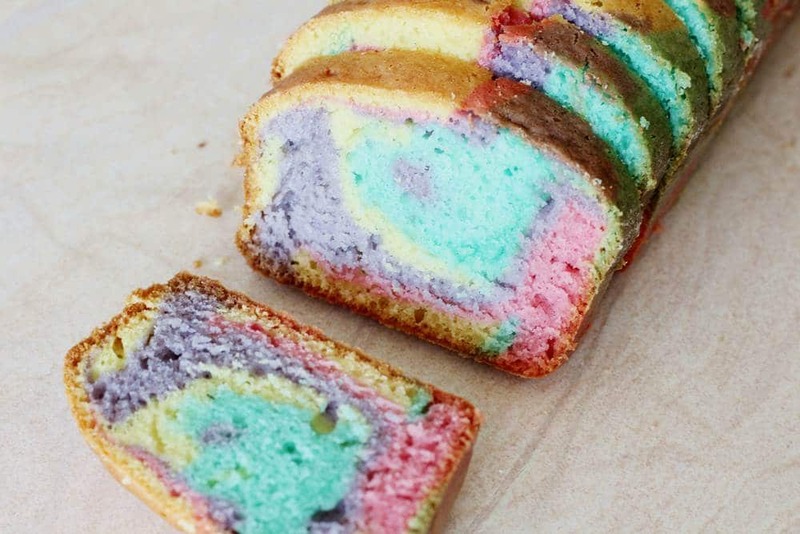 Bake this cake as instructions. When the cake is ready let it cool down. Frost the cake with buttercream frosting and cover the cake with colored fondant. If you don’t have experience with fondant you can see the coating technique I used here.